“Always-on, data-driven, and real-time have truly become table stakes for enterprises in today’s global economy. The challenges for getting a consistent, up-to-date picture are compounded as enterprises embrace cloud deployments.” Tony Baer states it plainly. To succeed in today’s competitive environment, you need real-time information – it really is that simple. This requires a platform that can unite information from disparate systems across your enterprise without compromising availability and performance. Oracle GoldenGate provides real-time capture, transformation, routing, and delivery of database transactions across heterogeneous systems. Oracle GoldenGate facilitates high-performance, low-impact data movement with low latency to a wide variety of databases and platforms while maintaining transaction integrity – and that is the key. With the help of Ovum’s Tony Baer, we have further explored how businesses value their data in this changing environment. Businesses need to continuously innovate, but execute at the same time. This whitepaper explores the realities of today, and those coming tomorrow. Real-time is crucial and an essential ingredient to driving key advances in everyday business. Supporting real-time business requires a data-replication technology that is flexible, scalable, performant, and platform-independent, with little to no overhead. Tony interviews a handful of Oracle GoldenGate customers, and found valuable insights into the uniqueness and flexibility Oracle GoldenGate provides to today’s market. 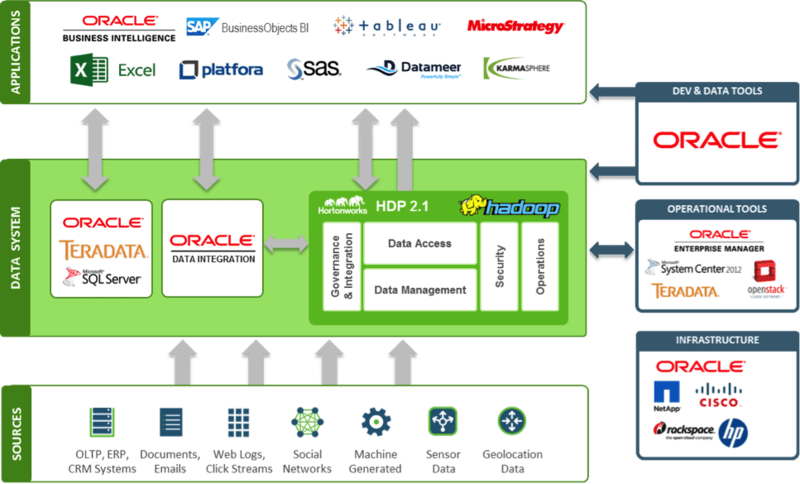 To learn more about Real-Time Data Integration & Replication – Oracle GoldenGate – visit us here. This short video: Chalk Talk: Boost Big Data Solutions with Oracle GoldenGate might be of interest as well. Oracle’s Big Data Preparation Cloud Service (BDP) provides value in analytics and data management projects at any scale. It empowers business users to process complex business data of any source, size and format; from small departmental data to large enterprise data to massive IOT and log data. The service is the only data wrangling tool using a unique combination of Machine Learning, Natural Language Processing leveraging a semantic knowledge graph in the Cloud. This means that it is more efficient in mapping relationships and making more accurate repair and enrichment recommendations. Are you curious? Check out this short BDP Video to have BDP explained to you! It is becoming more evident that Data Preparation is important in speeding time to value. Due to growing data volumes, and siloed data, businesses are finding that further and faster growth can be achieved via better data, of which one preliminary step is that of preparing, enriching, and wrangling the data. With the help of Forrester, 160 IT decision makers from around the world were surveyed, which yielded great clues and information on the growing importance of streamlining the data preparation and data to deliver cutting-edge business insights. READ the Technology Adoption Profile: Data Preparation Accelerates Self-Service. Oracle’s cloud based technology with Oracle Big Data Preparation helps to bridge the IT-Business gap, showing how self service data wrangling, when done right imparts great value, provides rich recommendation and helps streamline and automate the data preparation pipeline. Oracle Big Data Preparation Cloud Service provides an agile, intuitive interface that automates, streamlines, and guides the process of data ingestion, preparation, enrichment, and publishing of data targeted at the data integration needs of the data steward and IT.